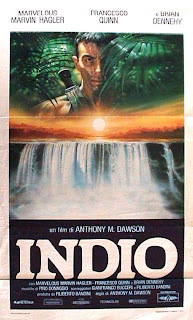 Probably the easiest of all Margheriti's movies to find in video stores, Indio succeeds in being a solid action film, despite the obviously micro-budget Margheriti had to film with. 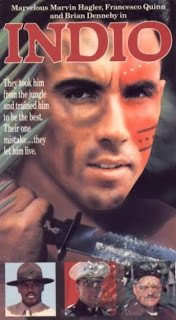 Anthony Quinn's son Francesco Quinn (Platoon, Casablanca Express) stars as Daniel Morrell, a young Marine who goes to visit his father who heads up a tribe, the "Indios", down in the Amazon. 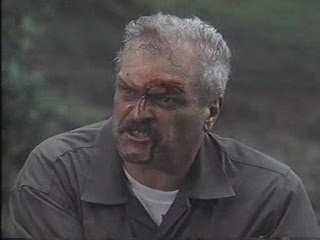 Meanwhile, huge transportation tycoon Brian Dennehy (FX and First Blood), is busy building a road through native land, forcing the natives to vacate their villages with gangs of well-armed mercenaries. 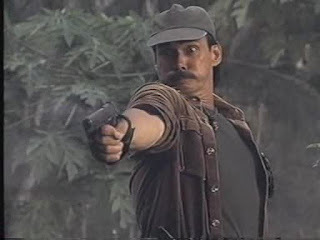 When his father is killed in one of the attacks, Morrell begins a one-man war against the road company, destroying lots of property and killing lots of people. Ex-wrestler Marvelous Marvin Hagler arrives to talk Morrell out of his crusade. He fails, and makes sure to do a silly dance in the rain before he departs from the film. 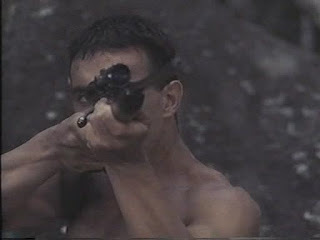 Dennehy sics his goons on Morrell and his people, and the ensuing film which becomes of that is a sort of hybrid of First Blood and The Emerald Forest! Decent action film boasts a good musical score by Pino Donaggio (The Barbarians, The Black Cat) and a lot of good explosions and miniature effects. Many of the same cast members can be seen here from Margheriti's earlier Alien from the Deep, and the acting is good for the most part -aside from Hagler extremely amateurish performance (did he rehearse at all?). 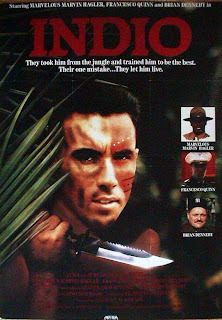 Some logic holes and errors, (such as the fact that the actors who played the "Amazonian Indians" were obviously Filipino) and a lot of nonsensical ecological overtones, but on the whole the film is unpretentious and worthwhile. 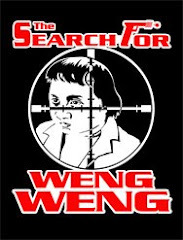 Great for fans of cheesy Italian action films. 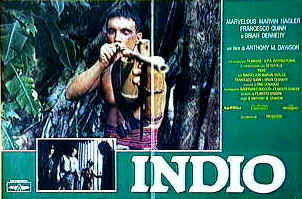 Followed by a superior sequel Indio 2 - The Revolt featuring Marvelous Marvin in the starring role (!). no encuentro esta buena peli por ningun lado...puedes enviarme un link para verla o descargarla..? ?